For the textual analysis of historic documents, see Diplomatics. For other uses, see Diplomacy (disambiguation). Diplomacy is the art and practice of conducting negotiations between representatives of states. It usually refers to international diplomacy, the conduct of international relations through the intercession of professional diplomats with regard to a full range of topical issues. International treaties are usually negotiated by diplomats prior to endorsement by national politicians. David Stevenson reports that by 1900 the term "diplomats" also covered diplomatic services, consular services and foreign ministry officials. Some of the earliest known diplomatic records are the Amarna letters written between the pharaohs of the Eighteenth dynasty of Egypt and the Amurru rulers of Canaan during the 14th century BC. Following the [Battle of Kadesh] in c. 1274 BC during the Nineteenth dynasty, the pharaoh of Egypt and the ruler of the Hittite Empire created one of the first known international peace treaties which survives in stone tablet fragments, now generally called the Egyptian–Hittite peace treaty. Relations with the government of the Ottoman Empire (known to Italian states as the Sublime Porte) were particularly important to Italian states. 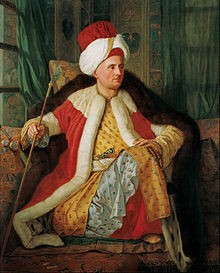 The maritime republics of Genoa and Venice depended less and less upon their nautical capabilities, and more and more upon the perpetuation of good relations with the Ottomans. Interactions between various merchants, diplomats and clergy men hailing from the Italian and Ottoman empires helped inaugurate and create new forms of diplomacy and statecraft. Eventually the primary purpose of a diplomat, which was originally a negotiator, evolved into a persona that represented an autonomous state in all aspects of political affairs. It became evident that all other sovereigns felt the need to accommodate themselves diplomatically, due to the emergence of the powerful political environment of the Ottoman Empire. One could come to the conclusion that the atmosphere of diplomacy within the early modern period revolved around a foundation of conformity to Ottoman culture. One of the earliest realists in international relations theory was the 6th century BC military strategist Sun Tzu (d. 496 BC), author of The Art of War. He lived during a time in which rival states were starting to pay less attention to traditional respects of tutelage to the Zhou Dynasty (c. 1050–256 BC) figurehead monarchs while each vied for power and total conquest. However, a great deal of diplomacy in establishing allies, bartering land, and signing peace treaties was necessary for each warring state, and the idealized role of the "persuader/diplomat" developed. From the Battle of Baideng (200 BC) to the Battle of Mayi (133 BC), the Han Dynasty was forced to uphold a marriage alliance and pay an exorbitant amount of tribute (in silk, cloth, grain, and other foodstuffs) to the powerful northern nomadic Xiongnu that had been consolidated by Modu Shanyu. After the Xiongnu sent word to Emperor Wen of Han (r. 180–157) that they controlled areas stretching from Manchuria to the Tarim Basin oasis city-states, a treaty was drafted in 162 BC proclaiming that everything north of the Great Wall belong to nomads' lands, while everything south of it would be reserved for Han Chinese. The treaty was renewed no less than nine times, but did not restrain some Xiongnu tuqi from raiding Han borders. That was until the far-flung campaigns of Emperor Wu of Han (r. 141–87 BC) which shattered the unity of the Xiongnu and allowed Han to conquer the Western Regions; under Wu, in 104 BC the Han armies ventured as far Fergana in Central Asia to battle the Yuezhi who had conquered Hellenistic Greek areas. Portraits of Periodical Offering, a 6th-century Chinese painting portraying various emissaries; ambassadors depicted in the painting ranging from those of Hephthalites, Persia to Langkasuka, Baekje(part of the modern Korea), Qiuci, and Wo (Japan). The Koreans and Japanese during the Chinese Tang Dynasty (618–907 AD) looked to the Chinese capital of Chang'an as the hub of civilization and emulated its central bureaucracy as the model of governance. The Japanese sent frequent embassies to China in this period, although they halted these trips in 894 when the Tang seemed on the brink of collapse. After the devastating An Shi Rebellion from 755 to 763, the Tang Dynasty was in no position to reconquer Central Asia and the Tarim Basin. After several conflicts with the Tibetan Empire spanning several different decades, the Tang finally made a truce and signed a peace treaty with them in 841. In the 11th century during the Song Dynasty (960–1279), there were cunning ambassadors such as Shen Kuo and Su Song who achieved diplomatic success with the Liao Dynasty, the often hostile Khitan neighbor to the north. Both diplomats secured the rightful borders of the Song Dynasty through knowledge of cartography and dredging up old court archives. There was also a triad of warfare and diplomacy between these two states and the Tangut Western Xia Dynasty to the northwest of Song China (centered in modern-day Shaanxi). After warring with the Lý Dynasty of Vietnam from 1075 to 1077, Song and Lý made a peace agreement in 1082 to exchange the respective lands they had captured from each other during the war. Long before the Tang and Song dynasties, the Chinese had sent envoys into Central Asia, India, and Persia, starting with Zhang Qian in the 2nd century BC. Another notable event in Chinese diplomacy was the Chinese embassy mission of Zhou Daguan to the Khmer Empire of Cambodia in the 13th century. Chinese diplomacy was a necessity in the distinctive period of Chinese exploration. Since the Tang Dynasty (618–907 AD), the Chinese also became heavily invested in sending diplomatic envoys abroad on maritime missions into the Indian Ocean, to India, Persia, Arabia, East Africa, and Egypt. Chinese maritime activity was increased dramatically during the commercialized period of the Song Dynasty, with new nautical technologies, many more private ship owners, and an increasing amount of economic investors in overseas ventures. During the Mongol Empire (1206–1294) the Mongols created something similar to today's diplomatic passport called paiza. The paiza were in three different types (golden, silver, and copper) depending on the envoy's level of importance. With the paiza, there came authority that the envoy can ask for food, transport, place to stay from any city, village, or clan within the empire with no difficulties. From the 17th century the Qing Dynasty concluded a series of treaties with Czarist Russia, beginning with the Treaty of Nerchinsk in the year 1689. This was followed up by the Aigun Treaty and the Convention of Peking in the mid-19th century. As European power spread around the world in the 18th and 19th centuries so too did its diplomatic model, and Asian countries adopted European diplomatic systems. Ancient India, with its kingdoms and dynasties, had a long tradition of diplomacy. The oldest treatise on statecraft and diplomacy, Arthashastra, is attributed to Kautilya (also known as Chanakya), who was the principal adviser to Chandragupta Maurya, the founder of the Maurya dynasty who ruled in the 3rd century BC. It incorporates a theory of diplomacy, of how in a situation of mutually contesting kingdoms, the wise king builds alliances and tries to checkmate his adversaries. The envoys sent at the time to the courts of other kingdoms tended to reside for extended periods of time, and Arthashastra contains advice on the deportment of the envoy, including the trenchant suggestion that 'he should sleep alone'. The highest morality for the king is that his kingdom should prosper. The ancient Greek city-states on some occasions sent envoys to each other in order to negotiate specific issues, such as war and peace or commercial relations, but did not have diplomatic representatives regularly posted in each other's territory. However, some of the functions given to modern diplomatic representatives were in Classical Greece filled by a proxenos, who was a citizen of the host city having a particular relations of friendship with another city – a relationship often hereditary in a particular family. In times of peace diplomacy was even conducted with rivals such as the Achaemenid Empire of Persia, though the latter eventually succumbed to the invasions of the Macedonian king Alexander the Great. The latter was also adept at diplomacy, realizing that in order to conquer certain territories it was important for his Macedonian and subject Greek troops to mingle and intermarry with native populations. For instance, Alexander even took a Sogdian woman of Bactria as his wife, Roxana, after the siege of the Sogdian Rock, in order to quell the region (which had been troubled by local rebels such as Spitamenes). Diplomacy was a necessary tool of statecraft for the great Hellenistic kingdoms such as the Ptolemaic Kingdom and Seleucid Empire, who fought several wars in the Near East and often negotiated a peace treaty through alliances through marriage. The key challenge to the Byzantine Empire was to maintain a set of relations between itself and its sundry neighbors, including the Georgians, Iberians, the Germanic peoples, the Bulgars, the Slavs, the Armenians, the Huns, the Avars, the Franks, the Lombards, and the Arabs, that embodied and so maintained its imperial status. All these neighbors lacked a key resource that Byzantium had taken over from Rome, namely a formalized legal structure. When they set about forging formal political institutions, they were dependent on the empire. Whereas classical writers are fond of making a sharp distinction between peace and war, for the Byzantines diplomacy was a form of war by other means. With a regular army of 120,000-140,000 men after the losses of the seventh century, the empire's security depended on activist diplomacy. Byzantium's "Bureau of Barbarians" was the first foreign intelligence agency, gathering information on the empire’s rivals from every imaginable source. While on the surface a protocol office—its main duty was to ensure foreign envoys were properly cared for and received sufficient state funds for their maintenance, and it kept all the official translators—it clearly had a security function as well. On Strategy, from the 6th century, offers advice about foreign embassies: "[Envoys] who are sent to us should be received honourably and generously, for everyone holds envoys in high esteem. Their attendants, however, should be kept under surveillance to keep them from obtaining any information by asking questions of our people." In Europe, early modern diplomacy's origins are often traced to the states of Northern Italy in the early Renaissance, with the first embassies being established in the 13th century. Milan played a leading role, especially under Francesco Sforza who established permanent embassies to the other city states of Northern Italy. Tuscany and Venice were also flourishing centres of diplomacy from the 14th century onwards. It was in the Italian Peninsula that many of the traditions of modern diplomacy began, such as the presentation of an ambassador's credentials to the head of state. From Italy the practice was spread across Europe. Milan was the first to send a representative to the court of France in 1455. However, Milan refused to host French representatives fearing espionage and that the French representatives would intervene in its internal affairs. As foreign powers such as France and Spain became increasingly involved in Italian politics the need to accept emissaries was recognized. Soon the major European powers were exchanging representatives. Spain was the first to send a permanent representative; it appointed an ambassador to the Court of St. James's (i.e. England) in 1487. By the late 16th century, permanent missions became customary. The Holy Roman Emperor, however, did not regularly send permanent legates, as they could not represent the interests of all the German princes (who were in theory all subordinate to the Emperor, but in practice each independent). In 1500-1700 rules of modern diplomacy were further developed. French replaced Latin from about 1715. The top rank of representatives was an ambassador. At that time an ambassador was a nobleman, the rank of the noble assigned varying with the prestige of the country he was delegated to. Strict standards developed for ambassadors, requiring they have large residences, host lavish parties, and play an important role in the court life of their host nation. In Rome, the most prized posting for a Catholic ambassador, the French and Spanish representatives would have a retinue of up to a hundred. Even in smaller posts, ambassadors were very expensive. Smaller states would send and receive envoys, who were a rung below ambassador. Somewhere between the two was the position of minister plenipotentiary. Diplomacy was a complex affair, even more so than now. The ambassadors from each state were ranked by complex levels of precedence that were much disputed. States were normally ranked by the title of the sovereign; for Catholic nations the emissary from the Vatican was paramount, then those from the kingdoms, then those from duchies and principalities. Representatives from republics were ranked the lowest (which often angered the leaders of the numerous German, Scandinavian and Italian republics). Determining precedence between two kingdoms depended on a number of factors that often fluctuated, leading to near-constant squabbling. Ambassadors were often nobles with little foreign experience and no expectation of a career in diplomacy. They were supported by their embassy staff. These professionals would be sent on longer assignments and would be far more knowledgeable than the higher-ranking officials about the host country. Embassy staff would include a wide range of employees, including some dedicated to espionage. The need for skilled individuals to staff embassies was met by the graduates of universities, and this led to a great increase in the study of international law, French, and history at universities throughout Europe. The elements of modern diplomacy slowly spread to Eastern Europe and Russia, arriving by the early 18th century. The entire edifice would be greatly disrupted by the French Revolution and the subsequent years of warfare. The revolution would see commoners take over the diplomacy of the French state, and of those conquered by revolutionary armies. Ranks of precedence were abolished. Napoleon also refused to acknowledge diplomatic immunity, imprisoning several British diplomats accused of scheming against France. After the fall of Napoleon, the Congress of Vienna of 1815 established an international system of diplomatic rank. Disputes on precedence among nations (and therefore the appropriate diplomatic ranks used) were first addressed at the Congress of Aix-la-Chapelle in 1818, but persisted for over a century until after World War II, when the rank of ambassador became the norm. In between that time, figures such as the German Chancellor Otto von Bismarck were renowned for international diplomacy. Diplomats themselves and historians often refer to the foreign ministry by its address: the Ballhausplatz (Vienna), the Quai d’Orsay (Paris), the Wilhelmstraße (Berlin); and Foggy Bottom (Washington). For imperial Russia to 1917 it was the Choristers’ Bridge (St Petersburg). The "Consulta" referred to the Italian ministry of Foreign Affairs, based in the Palazzo della Consulta from 1874 to 1922. The sanctity of diplomats has long been observed. This sanctity has come to be known as diplomatic immunity. While there have been a number of cases where diplomats have been killed, this is normally viewed as a great breach of honour. Genghis Khan and the Mongols were well known for strongly insisting on the rights of diplomats, and they would often wreak horrific vengeance against any state that violated these rights. Diplomatic rights were established in the mid-17th century in Europe and have spread throughout the world. These rights were formalized by the 1961 Vienna Convention on Diplomatic Relations, which protects diplomats from being persecuted or prosecuted while on a diplomatic mission. If a diplomat does commit a serious crime while in a host country he or she may be declared as persona non grata (unwanted person). Such diplomats are then often tried for the crime in their homeland. Diplomatic communications are also viewed as sacrosanct, and diplomats have long been allowed to carry documents across borders without being searched. The mechanism for this is the so-called "diplomatic bag" (or, in some countries, the "diplomatic pouch"). While radio and digital communication have become more standard for embassies, diplomatic pouches are still quite common and some countries, including the United States, declare entire shipping containers as diplomatic pouches to bring sensitive material (often building supplies) into a country. Diplomacy is closely linked to espionage or gathering of intelligence. Embassies are bases for both diplomats and spies, and some diplomats are essentially openly acknowledged spies. For instance, the job of military attachés includes learning as much as possible about the military of the nation to which they are assigned. They do not try to hide this role and, as such, are only invited to events allowed by their hosts, such as military parades or air shows. There are also deep-cover spies operating in many embassies. These individuals are given fake positions at the embassy, but their main task is to illegally gather intelligence, usually by coordinating spy rings of locals or other spies. For the most part, spies operating out of embassies gather little intelligence themselves and their identities tend to be known by the opposition. If discovered, these diplomats can be expelled from an embassy, but for the most part counter-intelligence agencies prefer to keep these agents in situ and under close monitoring. Brazilian President Prudente de Morais shakes hands with King Carlos I of Portugal during the re-establishment of diplomatic relations between Brazil and Portugal after talks mediated by Queen Victoria, 16 March 1895. In the modern era, much of this work is often carried out by the International Court of Justice at The Hague, or other formal commissions, agencies and tribunals, working under the United Nations. Below are some examples. Hay-Herbert Treaty Enacted after the United States and Britain submitted a dispute to international mediation about the Canada–US border. Congress of Vienna (1815) – After Napoleon was defeated, there were many diplomatic questions waiting to be resolved. This included the shape of the map of Europe, the disposition of political and nationalist claims of various ethnic groups and nationalities wishing to have some political autonomy, and the resolution of various claims by various European powers. The Congress of Berlin (June 13 – July 13, 1878) was a meeting of the European Great Powers' and the Ottoman Empire's leading statesmen in Berlin in 1878. In the wake of the Russo-Turkish War, 1877–78, the meeting's aim was to reorganize conditions in the Balkans. Sometimes nations convene official negotiation processes to settle a specific dispute or specific issue between several nations which are parties to a dispute. These are similar to the conferences mentioned above, as there are technically no established rules or procedures. However, there are general principles and precedents which help define a course for such proceedings. Camp David Accords – Convened in 1978 by President Jimmy Carter of the United States, at Camp David to reach an agreement between Prime Minister Mechaem Begin of Israel and President Anwar Sadat of Egypt. After weeks of negotiation, agreement was reached and the accords were signed, later leading directly to the Egypt–Israel Peace Treaty of 1979. Treaty of Portsmouth – Enacted after President Theodore Roosevelt brought together the delegates from Russia and Japan, to settle the Russo-Japanese War. Roosevelt's personal intervention settled the conflict, and caused him to win the Nobel Peace Prize. Diplomatic recognition is an important factor in determining whether a nation is an independent state. Receiving recognition is often difficult, even for countries which are fully sovereign. For many decades after its becoming independent, even many of the closest allies of the Dutch Republic refused to grant it full recognition. Today there are a number of independent entities without widespread diplomatic recognition, most notably the Republic of China (ROC)/Taiwan on Taiwan Island. Since the 1970s, most nations have stopped officially recognizing the ROC's existence on Taiwan, at the insistence of the People's Republic of China (PRC). Currently, the United States and other nations maintain informal relations through de facto embassies, with names such as the American Institute in Taiwan. Similarly, Taiwan's de facto embassies abroad are known by names such as the Taipei Economic and Cultural Representative Office. This was not always the case, with the US maintaining official diplomatic ties with the ROC, recognizing it as the sole and legitimate government of "all of China" until 1979, when these relations were broken off as a condition for establishing official relations with PR China. The Palestinian National Authority has its own diplomatic service, however Palestinian representatives in most Western countries are not accorded diplomatic immunity, and their missions are referred to as Delegations General. Other unrecognized regions which claim independence include Abkhazia, Liberland, Transnistria, Somaliland, South Ossetia, Nagorno Karabakh, and the Turkish Republic of Northern Cyprus. Lacking the economic and political importance of Taiwan, these territories tend to be much more diplomatically isolated. Though used as a factor in judging sovereignty, Article 3 of the Montevideo Convention states, "The political existence of the state is independent of recognition by other states." Informal diplomacy (sometimes called Track II diplomacy) has been used for centuries to communicate between powers. Most diplomats work to recruit figures in other nations who might be able to give informal access to a country's leadership. In some situations, such as between the United States and the People's Republic of China a large amount of diplomacy is done through semi-formal channels using interlocutors such as academic members of thinktanks. This occurs in situations where governments wish to express intentions or to suggest methods of resolving a diplomatic situation, but do not wish to express a formal position. Track II diplomacy is a specific kind of informal diplomacy, in which non-officials (academic scholars, retired civil and military officials, public figures, social activists) engage in dialogue, with the aim of conflict resolution, or confidence-building. Sometimes governments may fund such Track II exchanges. Sometimes the exchanges may have no connection at all with governments, or may even act in defiance of governments; such exchanges are called Track III. On some occasion a former holder of an official position continues to carry out an informal diplomatic activity after retirement. In some cases, governments welcome such activity, for example as a means of establishing an initial contact with a hostile state of group without being formally committed. In other cases, however, such informal diplomats seek to promote a political agenda different from that of the government currently in power. Such informal diplomacy is practiced by former US Presidents Jimmy Carter and (to a lesser extent) Bill Clinton and by the former Israeli diplomat and minister Yossi Beilin (see Geneva Initiative). Small state diplomacy is receiving increasing attention in diplomatic studies and international relations. Small states are particularly affected by developments which are determined beyond their borders such as climate change, water security and shifts in the global economy. Diplomacy is the main vehicle by which small states are able to ensure that their goals are addressed in the global arena. These factors mean that small states have strong incentives to support international cooperation. But with limited resources at their disposal, conducting effective diplomacy poses unique challenges for small states. There are a variety of diplomatic categories and diplomatic strategies employed by organizations and governments to achieve their aims, each with its own advantages and disadvantages. Preventive diplomacy through quiet means (as opposed to “gun-boat diplomacy” backed by threat of force or “public diplomacy” which makes use of publicity). It is also understood that circumstances may exist in which the consensual use of force (notably preventive deployment) might be welcomed by parties to a conflict with a view to achieving the stabilization necessary for diplomacy and related political processes to proceed. This is to be distinguished from the use of “persuasion”, “suasion”, “influence”, and other non-coercive approaches explored below. 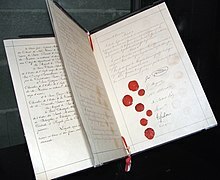 “Preventive diplomacy”, in the view of one expert, is “the range of peaceful dispute resolution approaches mentioned in Article 33 of the UN Charter [on the pacific settlement of disputes] when applied before a dispute crosses the threshold to armed conflict.” It may take many forms, with different means employed. One form of diplomacy which may be brought to bear to prevent violent conflict (or to prevent its recurrence) is “quiet diplomacy”. When one speaks of the practice of quiet diplomacy, definitional clarity is largely absent. In part this is due to a lack of any comprehensive assessment of exactly what types of engagement qualify, and how such engagements are pursued. On the one hand, a survey of the literature reveals no precise understanding or terminology on the subject. On the other hand, concepts are neither clear nor discrete in practice. Multiple definitions are often invoked simultaneously by theorists, and the activities themselves often mix and overlap in practice. Public diplomacy is exercising influence through communication with the general public in another nation, rather than attempting to influence the nation's government directly. This communication may take the form of propaganda, or more benign forms such as citizen diplomacy, individual interactions between average citizens of two or more nations. Technological advances and the advent of digital diplomacy now allow instant communication with foreign public, and methods such as Facebook diplomacy and Twitter diplomacy are increasingly used by world leaders and diplomats. Soft power, sometimes called hearts and minds diplomacy, as defined by Joseph Nye, is the cultivation of relationships, respect, or even admiration from others in order to gain influence, as opposed to more coercive approaches. Often and incorrectly confused with the practice of official diplomacy, soft power refers to non-state, culturally attractive factors that may predispose people to sympathize with a foreign culture based on affinity for its products, such as the American entertainment industry, schools and music. A country's soft power can come from three resources: its culture (in places where it is attractive to others), its political values (when it lives up to them at home and abroad), and its foreign policies (when they are seen as legitimate and having moral authority). Economic diplomacy is the use of foreign aid or other types of economic policy as a means to achieve a diplomatic agenda. Counterinsurgency diplomacy or Expeditionary Diplomacy, developed by diplomats deployed to civil-military stabilization efforts in Iraq and Afghanistan, employs diplomats at tactical and operational levels, outside traditional embassy environments and often alongside military or peacekeeping forces. Counterinsurgency diplomacy may provide political environment advice to local commanders, interact with local leaders, and facilitate the governance efforts, functions and reach of a host government. Gunboat diplomacy is the use of conspicuous displays of military strength as a means of intimidation in order to influence others. It must also be stated that since gunboat diplomacy lies near the edge between peace and war, victory or defeat in an incident may foster a shift into political and psychological dimensions: a standoff between a weaker and a stronger state may be perceived as a defeat for the stronger one. This was the case in the Pueblo Incident in which the Americans lost face with regard to North Korea. Migration diplomacy refers to the use of human migration in a state's foreign policy. American political scientist Myron Weiner argued that international migration is intricately linked to states' international relations. More recently, Kelly Greenhill has identified how states may employ 'weapons of mass migration' against target states in their foreign relations. Migration diplomacy may involve the use of refugees, labor migrants, or diasporas in states' pursuit of international diplomacy goals. Appeasement is a policy of making concessions to an aggressor in order to avoid confrontation; because of its failure to prevent World War 2, appeasement is not considered a legitimate tool of modern diplomacy. Nuclear diplomacy is the area of diplomacy related to preventing nuclear proliferation and nuclear war. One of the most well-known (and most controversial) philosophies of nuclear diplomacy is mutually assured destruction (MAD). Most countries provide professional training for their diplomats and some run establishments specifically for that purpose. Private institutions also exist as do establishments associated with organisations like the European Union and the United Nations. ^ "The Diplomats" in Jay Winter, ed. The Cambridge History of the First World War: Volume II: The State (2014) vol 2 p 68. ^ "Ancient Discoveries: Egyptian Warfare". Archived from the original on 4 March 2009. Retrieved 27 July 2009. Egyptian monuments and great works of art still astound us today. We will reveal another surprising aspect of Egyptian life--their weapons of war, and their great might on the battlefield. A common perception of the Egyptians is of a cultured civilization, yet there is fascinating evidence which reveals they were also a war faring people, who developed advanced weapon making techniques. Some of these techniques would be used for the very first time in history and some of the battles they fought were on a truly massive scale. ^ a b c Goffman, Daniel. "Negotiating with the Renaissance State: The Ottoman Empire and the New Diplomacy." In The Early Modern Ottomans: Remapping the Empire. Eds. Virginia Aksan and Daniel Goffman. Cambridge: Cambridge University Press, pp. 61–74. ^ Loewe, Michael; Shaughnessy, Edward L., eds. (1999). The Cambridge History of Ancient China: from the origins of civilization to 221 B.C. Cambridge University Press. p. 587. ISBN 978-0-521-47030-8. Retrieved 1 September 2011. The writings that preserve information about the political history of the [Warring States] period [...] define a set of idealized roles that constitute the Warring States polity: the monarch, the reforming minister, the military commander, the persuader/diplomat, and the scholar. ^ Gabriel, Richard A. (2002). The Great Armies of Antiquity. Westport, Connecticut: Greenwood Publishing Group. p. 281. ISBN 978-0-275-97809-9. ^ Haldon, John F. (1999). Warfare, State and Society in the Byzantine World, 565-1204. London, United Kingdom: University College London Press. p. 101. ISBN 978-1-85728-495-9. ^ Antonucci, Michael (February 1993). "War by Other Means: The Legacy of Byzantium". History Today. 43 (2): 11–13. ^ Historical discontinuity between diplomatic practice of the ancient and medieval worlds and modern diplomacy has been questioned; see, for instance, Pierre Chaplais, English Diplomatic Practice in the Middle Ages (Continuum International Publishing Group, 2003), p. 1 online. ^ David Std Stevenson, "The Diplomats" in Jay Winter, ed. The Cambridge History of the First World War: Volume II: The State (2014) vol 2 p 68. ^ "Diplomatic Pouches". www.state.gov. Retrieved 12 December 2017. ^ a b c Fahim Younus, Dr. Mohammad (2010). Diplomacy, The Only Legitimate Way of Conducting International Relations. Lulu. pp. 45–47. ISBN 9781446697061. ^ Corgan, Michael (12 August 2008). "Small State Diplomacy". e-International Relations. ^ a b "Tutt, A. (2013), E-Diplomacy Capacities within the EU-27: Small States and Social Media". www.grin.com. Retrieved 17 September 2015. ^ Collins and Packer, Craig and John (2006). "Options and Techniques for Quiet Diplomacy" (PDF). Edita Stockholm: 10. ^ Nye, Joseph (2006). "Think Again: Soft Power". Foreign Policy. Retrieved 7 August 2018. ^ Tsourapas, Gerasimos (2017). "Migration diplomacy in the Global South: cooperation, coercion and issue linkage in Gaddafi's Libya". Third World Quarterly. 38 (10): 2367–2385. doi:10.1080/01436597.2017.1350102. ^ Weiner, Myron (1985). "On International Migration and International Relations". Population and Development Review. 11 (3): 441–455. doi:10.2307/1973247. JSTOR 1973247. ^ 1970-, Greenhill, Kelly M. (2010). Weapons of mass migration : forced displacement, coercion, and foreign policy. Ithaca, N.Y.: Cornell University Press. ISBN 9780801458668. OCLC 726824355. ^ Greenhill, Kelly M. (September 2002). "Engineered Migration and the Use of Refugees as Political Weapons: A Case Study of the 1994 Cuban Balseros Crisis". International Migration. 40 (4): 39–74. doi:10.1111/1468-2435.00205. ISSN 0020-7985. ^ Tsourapas, Gerasimos (June 2018). "Labor Migrants as Political Leverage: Migration Interdependence and Coercion in the Mediterranean". International Studies Quarterly. 62 (2): 383–395. doi:10.1093/isq/sqx088. ^ Shain, Yossi (1994). "Ethnic Diasporas and U.S. Foreign Policy". Political Science Quarterly. 109 (5): 811–841. doi:10.2307/2152533. JSTOR 2152533. Dennis, George T. (1985). Three Byzantine Military Treatises (Volume 9). Washington, District of Columbia: Dumbarton Oaks, Research Library and Collection. ISBN 9780884021407. Kurbalija J. and Slavik H. eds. Language and Diplomacy DiploProjects, Mediterranean Academy of Diplomatic Studies, Malta, 2001, ISBN 99909-55-15-8; papers by experts. Stevenson, David. "The Diplomats" in Jay Winter, ed. The Cambridge History of the First World War: Volume II: The State (2014) vol 2 ch 3, pp 66–90. Rivère de Carles, Nathalie, and Duclos, Nathalie, Forms of Diplomacy (16th-21st c.), Toulouse, Presses Universitaires du Midi, 2015. ISBN 978-2-8107-0424-8. A study of alternative forms of diplomacy and essays on cultural diplomacy by Lucien Bély et al.